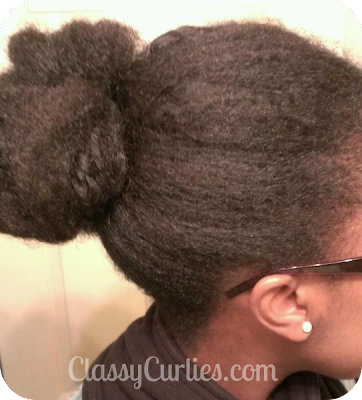 ClassyCurlies.com: Your source for natural hair and beauty care: Natural Hair: Bunning it Up! 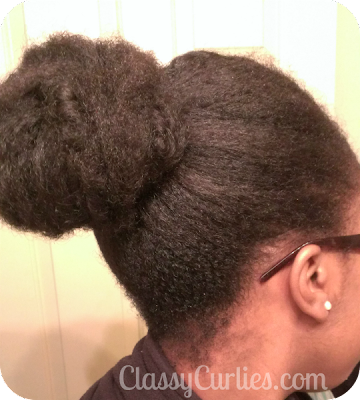 Natural Hair: Bunning it Up! 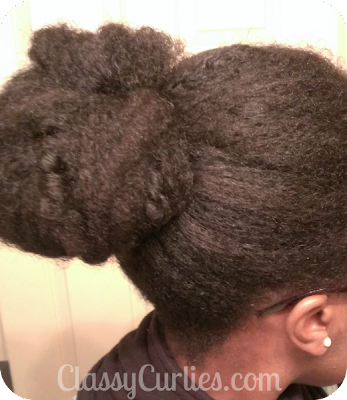 So after my curlformer set fell, I just have been wearing my hair in a bun. It works out perfectly because my hair and roots are still really stretched. 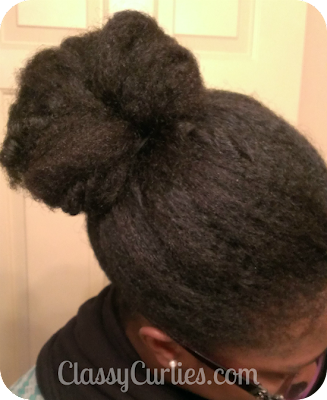 I haven't used much product in my hair because I don't want it to shrink up, but I have been using a little tea tree oil on my scalp. As you can see I didn't completely brush out my curls, nor did I use a lot of styling tools. I will definitely be washing my hair this weekend!